We explore some new GWI research on online news consumption. This confirms the importance of social in accessing content from a range of major online news services. 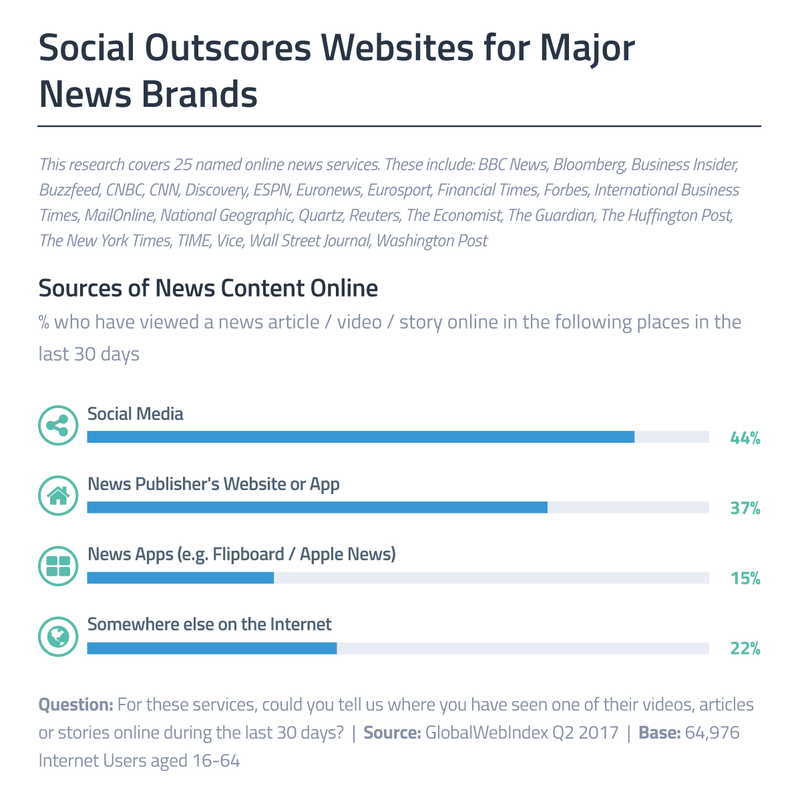 Across 25 named online news publishers tracked in our survey, 44% of internet users say they have seen their stories or videos via social media in the last month (putting this medium ahead of the publishers’ own websites and apps, on 37%). Clearly, the shareability of social and its role as a communal discussion platform is ideal for catching up with current affairs throughout the day, especially with time spent on social per day rising year-on-year. What’s also key here is that social media platforms like Facebook have put steps in place to render ad-blockers ineffective, something which the publishers themselves find it difficult to do on their own properties without restricting access. Further down our list, curated news aggregators are attracting a decent number of consumers despite having been around for a comparatively much shorter period of time. These apps allow users to target a variety of interests across multiple sources, making them a particular hit among younger cohorts.